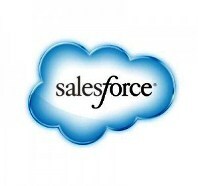 Salesforce.com revealed three new capabilities Wednesday that will extend Wave, the CRM giant’s recently released cloud analytics platform, to mobile devices. The upcoming Wave release, set to go live in March, focuses entirely on mobile innovation with features designed specifically for smartphones that allow users to access, integrate and visualize data generated by Salesforce and partner applications. The three new features will give those users greater insight into their business intelligence. Wave Mobile Connector allows Salesforce customers to start exploring analytics from their phone by importing raw data and transforming it into visual charts or graphs. Wave Mobile Dashboard Designer allows users to build multifaceted dashboards for visualizing dynamic information from multiple sources. Wave Links facilitates a connection between the Salesforce1 platform and the Wave analytics cloud. Links can also supplement Salesforce applications by introducing outside data types generated from other software sources.